In 2015, this airport recorded more than 39 million passengers. This airport gets to serve the larger area of Toronto. It is also located in the adjacent Mississauga city. 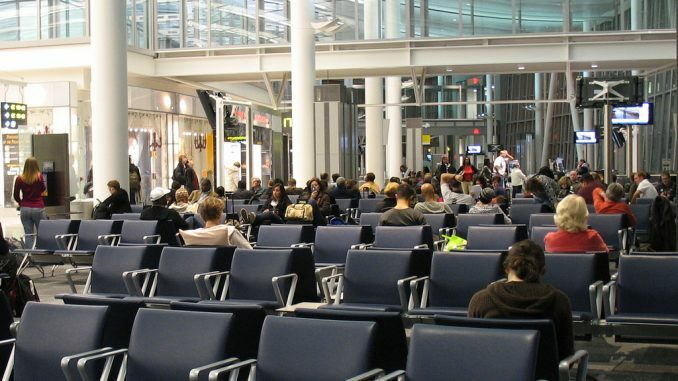 The Pearson airport is ranked the 33rd busiest in terms of total passenger traffic. It was initially called the Malton Airport. Thereafter, it became the Toronto International Airport before getting its current name back in 1984. This airport got its name from Lester B. Pearson, the 14th prime minister of the country. This airport handled over 19 million passengers in 2015 only, becoming the second busiest in the country. It serves Metro Vancouver and is also the Pacific Coastal Airlines, WestJet and Air Canada’s hub. This airport served as a base in the II World War as the training field for Royal Canadian Air. This airport served more than 14 million passengers. Its operations started in the 1940s and over time, it has been renovated and expanded. It serves the Montreal area and cities like Ontario and New York. This airport is the busiest in Quebec and also serves as Air Canada’s headquarters. Some continents like Africa, Europe, Asia and South America also benefit from non-stop flights that this airport facilitates. Anyone who has visited any of these major airports at night must have noticed the different kinds of lights. These lights are very important for any aeroplane operating during the night. They can be divided into various types, including general airport, taxiway, runway and approach lighting systems. These are inclusive of the beacons and any red or white lights that are put on top of buildings, construction equipment and towers. A beacon used in an airport is a big and very strong light that spins and can be seen from far. There are different such lights for each place, including those for public use in airports that are either green or white. Military airports use green and white beacons. To differentiate them from those used in civilian airports, they are separated by white lines for each green light. On the other hand, heliports rotate between white, green and yellow lights. This makes it easier for any pilot to identify an airport during the night from the colour of the beacon light. Runway End Identifier Lights- this is a pair of white lights that keep on flashing. Each light is placed on either side of the runway end from where the aircraft approach. They help in differentiating runways from taxiways during the night. Edge Light Systems- these are regular white lights put on the runways edges. While on instrument runways, these lights change to yellow at the last 2,000 feet, or alternatively, half the runway length. As the plane gets close to the edge of the runway, these lights turn red. The above are some of the airport runway lighting. Taxiway lights that are different in colour are also used. These lights help in keeping the airport operations smooth and avoiding accidents.